With Black Alice leaching away all the world's magic at an accelerated rate and the magical pillars holding back terrors beyond imagining close to destruction, Earth needs a hero. THE hero, in fact. 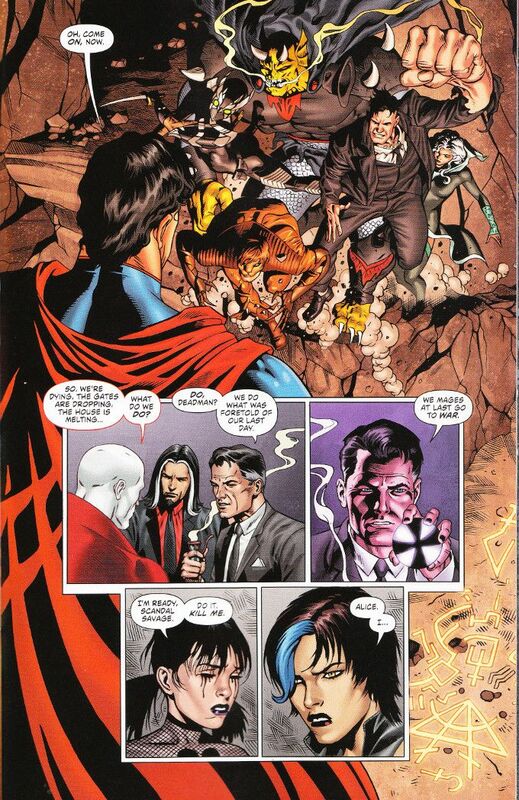 But can even the might of Superman thwart the sheer moxie and insanity of The Secret Six? And will Black Alice save the day herself by making the ultimate sacrifice? There is little I can say about this issue's story without giving away the game completely. So I will say only two things. Gail Simone does a grand job of both balancing several subplots and surprising even a jaded reader like me. 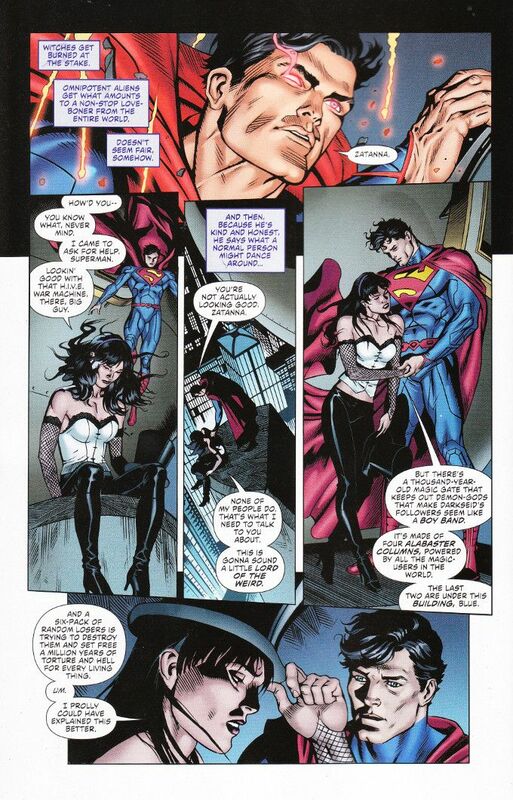 And her introductory text, in which Zatanna watches Superman in action before approaching him for help, is one of the best bits of writing about Superman I've read anywhere. The artists for this issue continue to perform at their usual level of high quality. Dale Eaglesham and Tom Derenick are two of my favorite artists and it's a relief that I don't have to choose between them this month. And Jason Wright does a masterful job finishing things up with his coloring.